A Herniated disc in the neck can be painful and distressful. They are one of many causes of neck pain. 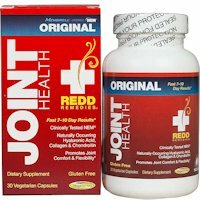 Active herniations can be a real problem until the inflammation subsides and usually anti-inflammatory medications like Medrol Dose Pack are prescribed for treatment. Conditions arise with multiple disc herniations and protrusions. What I call active – intense pain radiating in the area that the nerve goes to or cervical radiculopathy. In some cases, it can be alarming because the pain might be located in an area that may coincide with an acute heart problem like pain in the left side of the neck and down the left arm and one should not hesitate to go the hospital to rule this out. Once the active inflammation is resolved, a problem can often be the biomechanical effects that follow. 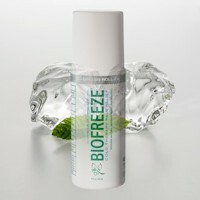 The structure can change and cause a cascading of pressure on other discs and joints. Other herniations and protrusions can be bothersome and become a chronic problem because degeneration may result over time leading to degenerative disc disease or cervical spondylosis. In general, disc protrusions and bulges can cause neck spasms or a general neck ache and sometimes neck related headaches. It is important to consult a health care practitioner. Treatment of a herniated disc in the neck can be complicated and may require a surgical consult in some cases where there are complications with other existing conditions, when myelopathy is involved or the pain does not subside with traditional treatment in a reasonable amount of time. Healing time can vary depending on any complications, age, extent of the herniation and types of treatment used. 6 to 8 weeks is a general time or target. Often, progress can be monitored with the use of the Neck Disability Index. 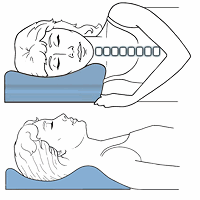 Cervical Traction is a popular and often effective treatment for a herniated disc in the neck. For an active disc herniation, traction should be used gently and is usually prescribed and administered by a physical therapist or chiropractor. 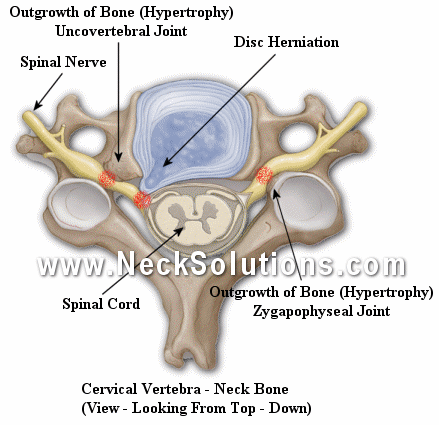 If the herniations are not active, you should have a comprehensive approach. Traction can provide relief and also be a part of rehabilitation. What I usually recommend is to initially use a traction collar. This makes it easy to apply and use. You can use them in a sitting position and, although the traction levels are potentially greater, you use it to tolerance or to your comfort level. Not pumping it up as far as it will go, but just to the level where you feel relief. In general, these units are less expensive and will give you a good idea if traction will be beneficial. After using the collar type for a while, you will either be satisfied with the relief provided or you may feel you need a more precise type of traction. Then I would go with the units that are used lying down – on the floor or a firm surface. It does tie you down and some people feel restricted by this. 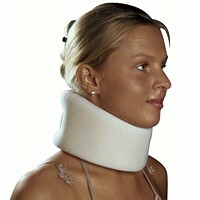 They will provide a traction that is more rehabilitative for the neck in general. 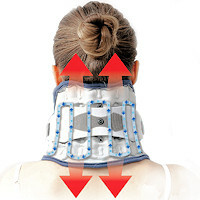 They maintain a beneficial curve to the neck while traction is being applied and thus require less traction force. The Home Neck Traction provides a good overall treatment for the neck and is more specific to the mid and lower cervical discs. It helps to hydrate the discs and should be used over a long period of time as it can help with poor neck posture. The Saunders Neck Traction device is a good, high end products and can be used to target specific areas of the neck by the use of angling, which is often prescribed by a therapist. These take a little bit longer to get used to as there is more of a learning curve in using them. All the traction units are safe to use, provided you do it slowly and gradually, to tolerance. You are in control, so you can stop or adjust when you feel necessary. Heat treatment is usually not recommended for initial stages of inflammation. Cold or ice therapy for neck pain can be used until the inflammation is gone and then heat treatment can help to relax muscles and may aid with traction treatment. As part of treatment for a herniated disc in the neck, the initial Neck Exercises are easy to do and can provide immediate relief in some cases. When doing neck exercises, it is important not to cause pain or push into the direction of pain. Movements that decrease pain of a herniated disc are good and can be repeated. If exercises increase the pain of a herniated disc, they should be stopped. Another method to help with pain and muscle spasm is the use of TENS Units. This is a battery powered electrical device that can be set up for treatment in the specific areas of pain by use of self adhesive electrodes. This may be prescribed for home treatment or as part of therapy, a health care provider may use more advanced forms of electro therapy or ultrasound. A tens unit is a safe, non-invasive, drug-free method of pain management. 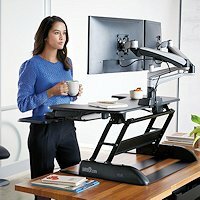 Ergonomics are important and you should do everything possible to institute proper ergonomics, especially for desk or computer workers. Try not to read in bed – something that can be very detrimental, so you can use a Bed Wedge Pillow System which helps keep the neck in a better posture. It is also important to use good Pillows because you don’t want to lose any gains you have made with home or office neck pain treatment while sleeping in a poor neck posture.